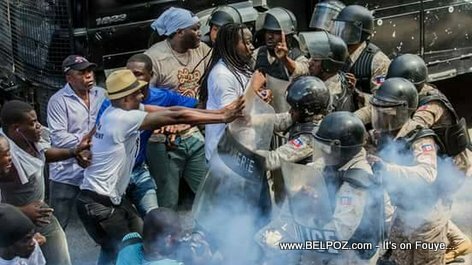 Gade photo saa... Yon Haiti Caricature ki montre ansyen senatè, chef opposition Moise Jean Charles malade kouche lopital epi la police kontan. 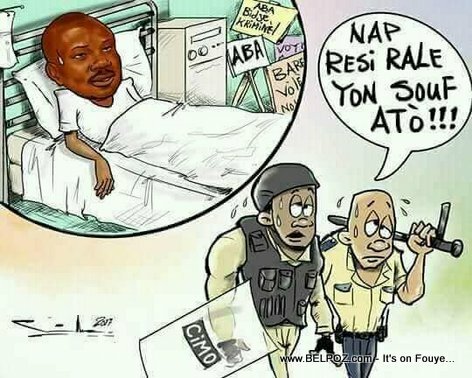 Policiers yo di "Nap resi rale yon souf atò"
Yon paket pankat manifestation aba, aba bidje kriminel bò kabann lopital Moise Jean Charles. 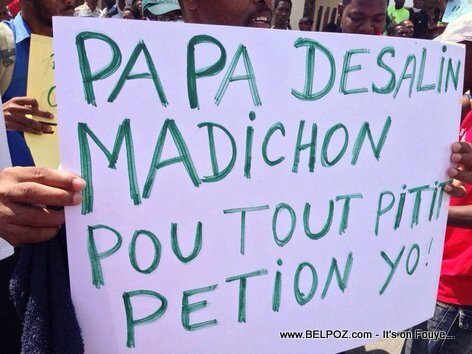 Karikati saa fè anpil bri sou rezo sosyo yo. 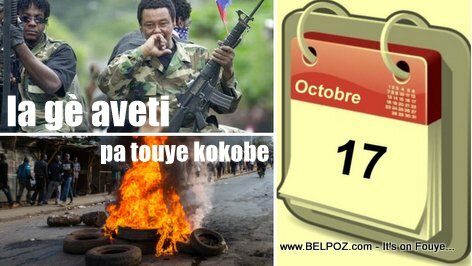 Look at this photo... Manifestation in Haiti - 17 October 2017, Haitian police put a roadblock preventing street protesters access to the commune of Petionville. 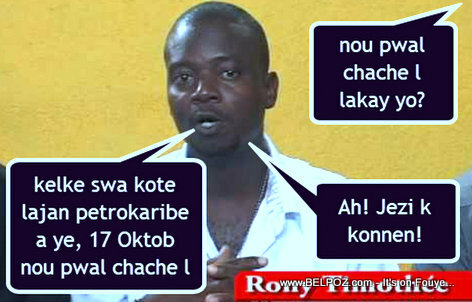 Senator Antonio Cheramy, alias Don Kato, is trying to force his way though the police baricade. 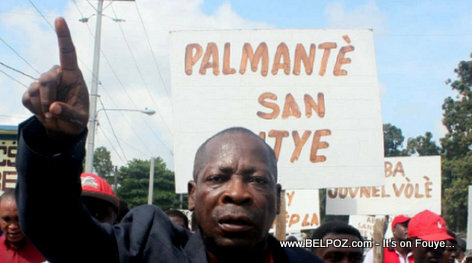 Gade photo saa... Jean Danton Leger, ancien député, ancien chef du parquet de Port-au-Prince sous l`administration Privert-Jean Charles, à la tête d`une manifestation de rue organisée a Léogane contre l`application du budget Moise-Lafontant voté par le parlement et promulgué par le president Jovenel Moise. 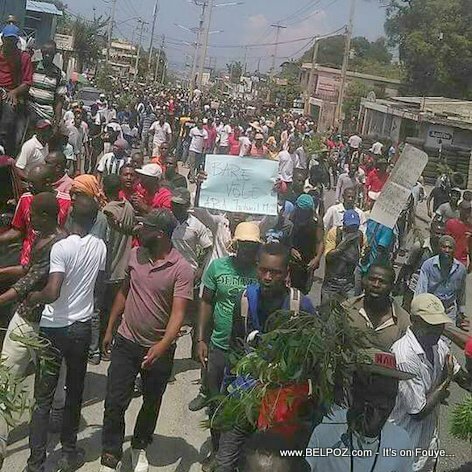 Look at this photo... Manifestation / Street protest in Haiti Tuesday 12 Sept 2017 by those opposed to president Jovenel Moise and his new budget law. Look at this photo... 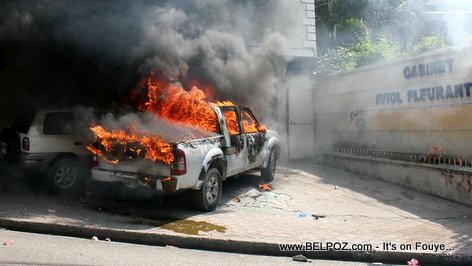 There was a street protest (manifestation) in Haiti Tuesday, 12 Sept 2017, two vehicles were set on fire in front of the Aviol Fleurant's Lawfirm (Cabinet Aviol Fleurant). 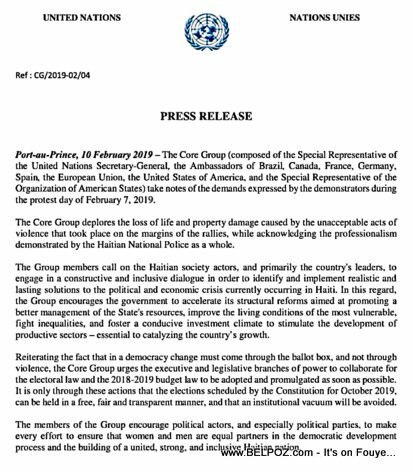 Note: Aviol Fleurant is presently the Ministre de la Planification et de la Coopération Externe of the Jovenel-Lafontant government.